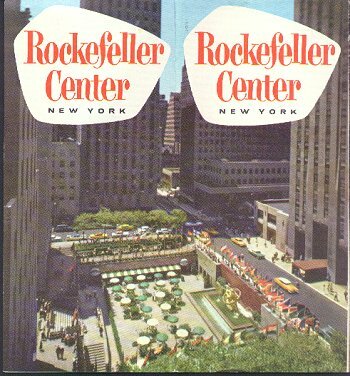 (244)Phamphlet - Rockefeller Center Fold out Phamphlet Circa 1956. -Condition: Very Good Beautiful colored cover showing street scene in front of Center. Inside gives map of Building and photos. Information lists all exhibits and tours and gives times they are open. One 1/2" stain on one inside page. Price: $3.50 + shipping.